It’s time for August Food ‘n Flix, hosted by Kimberly at Coffee and Casseroles. 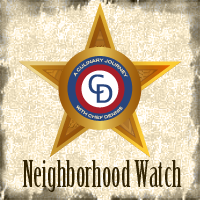 In Food ‘n Flix, bloggers watch the chosen film, create something inspired by the film & blog it! 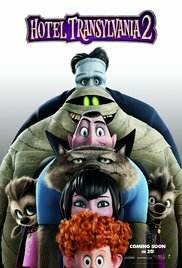 This month’s movie was Hotel Transylvania 2. My kids absolutely LOVE this movie! And we’ve seen it several times! A quick overview of the plot: Dracula’s daughter (Mavis) marries a human (Johnny) and they have a baby (Dennis) who may or may not be a vampire. Hilarity ensues. Like I mentioned before, my 8 & 5 year old go nuts for this movie, and I have to say, I enjoy it too! There are definitely some funny moments! I actually have two recipes for this movie, the boys’ pick and my pick! I’ll start off today with the boys’ pick because it turned out so stinking cute! In the movie, Mavis is pregnant and emotional, and Dracula is trying to tempt her with foods (like spiders) to help grow a healthy vampire. Eventually he brings nostalgic out a bowl of monster ball soup, completely with weepy monster balls (one which also munches down the spoon). So, I’ve never actually even had Matzo Ball Soup before, much less made it from scratch, but I decided to give it a whirl, especially since it looks like a fairly basic chicken soup with matzo balls (which pretty much seem to be big dumplings). There are, of course, differences between matzo balls and dumplings, but I was excited to take on the challenge! Hubs was out of town when we made our soup, but the kids and I loved it (yay!) We all enjoyed the soup the day of and as leftovers over the next couple days. 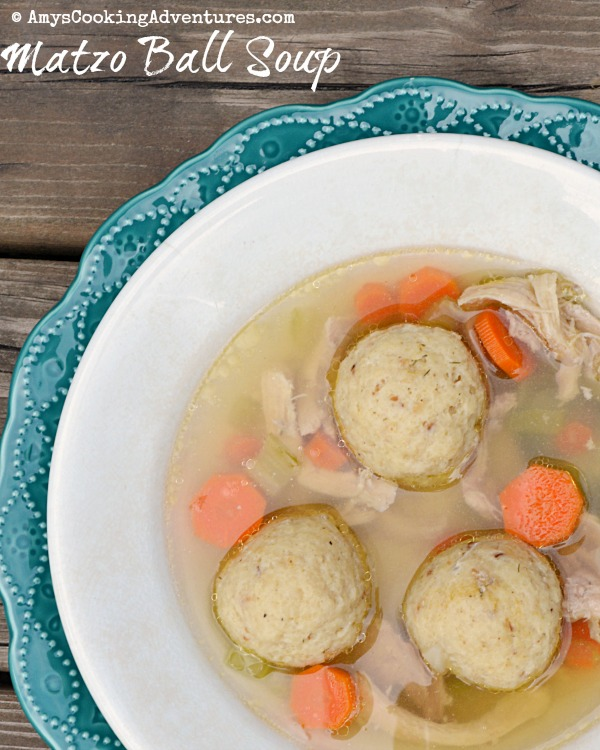 That matzo balls were super flavorful and a fun change of pace from our usual soups! *I found Matzo sheets at my local store. To make Matzo meal, break up the sheets and process in a food processor to a coarse grind. Place the broth in a large soup pot and bring to a simmer. Add the chicken and simmer until cooked through, about 20 minutes. Meanwhile, whisk together the matzo, baking powder, salt, pepper, garlic powder, onion powder, and dill. In a separate bowl, whisk together the melted fat (schmaltz for traditionalists, bacon drippings, in my case) and eggs. Pour the egg mixture into the matzo mixture and stir with a fork until just combined. Place in the refrigerator, uncovered, for 30 minutes. Removed the cooked chicken from the pot and shred. Return to the pot and add the onions, carrots, and celery. Bring to a slow, even simmer. Roll the cooled matzo mixture into 1-inch balls (I used a small, 1 tablespoon cookie scoop). Carefully lower to matzo balls into the broth. Cover and simmer for 30 minutes or until the matzo balls are cooked through, doubled in size and floating on top of the soup. 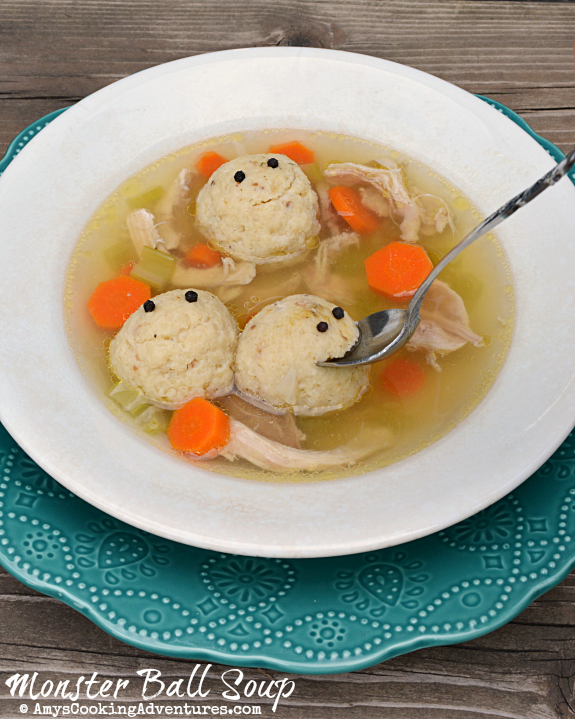 Serve the soup, with at least 3 matzo balls in each bowl. Such a fun pick - those monster balls are adorable! To cute! Great photo, Amy. So cute!! 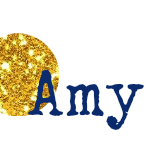 I love it, Amy. So adorable. I wanted to make this but was not sure how to go about it.